You might not think of us when you think of metal stampings, but your part doesn't need to have lots of curves and bends to be a Fourslide part. 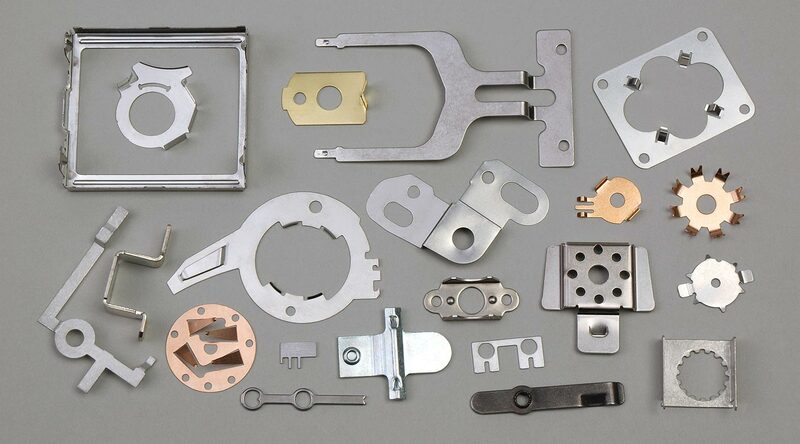 We just might be the best solution for your smaller metal stampings, too. Give us a call, send us an email, or use our online RFQ form. What Makes Fourslide Great for Stampings? Fourslide Isn't Just for Formed Parts Anymore: For "straight stamping" jobs under one million parts and 25 tons, an integrated stamping and forming operation called fourslide is proving more cost effective than power press machines. Forming Technique Offers Advantages Over Conventional Metal Stamping: A start-to-finish metal part-making process can offer manufacturers unprecedented cost and time savings.